When we look back on Six Nations we think of heated rivarlies and fierce contests between either two players or two nations. This is a weekend where I will look back and say that it was nothing more than a showcase of victimised bullying and punishment. Scotland and Ireland became a scrappy affair, whilst the French were humiliated and quite simply pummelled at Twickenham. 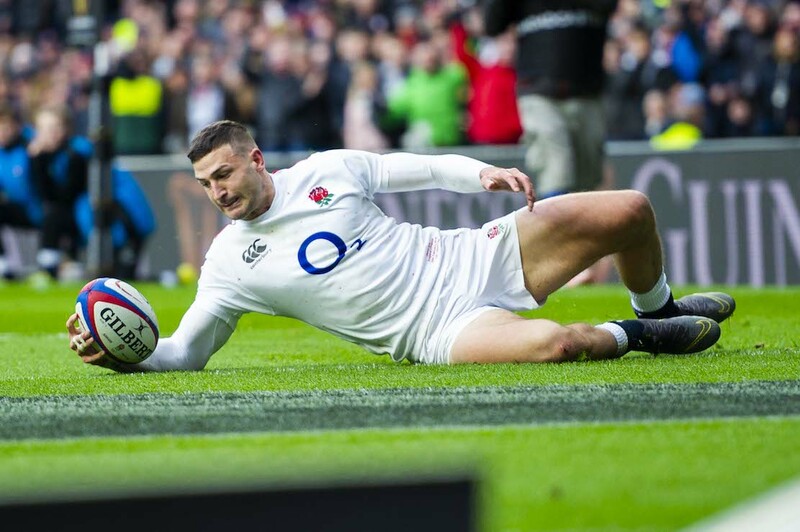 It’s been exciting nonetheless, but it’s been a weird one this weekend, with the word desperation springing to mind for all six teams, and with that said here is my review of the second round of the Six Nations. For me personally, I want to praise Ireland, but that wasn’t Scotland against Ireland this weekend, that was more like Scotland against Romain Poite. Every single decision seemed to go against the Scots and yes, some of the penalty calls were correct and undoubtable, but the advantage rule was being used so badly by Poite and it made for one of the worst showings Murrayfield has seen in a long time. The Scots were ultimately out-done by Joey Carberry, who played a fantastic game after replacing Sexton, and the tries by both wingers Jacob Stockdale and Keith Earls. The failure to secure a score before half time despite over 25 phases just five metres from the line was a disaster for the Scots, and the 3-1 try count for Ireland was the sticking point. It was never going to be a day for kicking for success with the winds in Edinburgh, but matters weren’t helped by the discipline of some of the players this weekend. Peter O’Mahony knew exactly what he was doing when he hit Stuart Hogg off the ball, as did Jonny Gray with his hit on Johnny Sexton. The game felt more like a battle between mercenaries and we were seeing who could take out the bigger name, with Hogg and Sexton being badly targeted. Even Richie McCaw would probably say they were being roughed up a bit, and he knows more than plenty about being targeted. It was shameful behaviour but it showed just how desperate both teams were to win, as Scotland sought their second win, and Ireland looked to back themselves after a horror show against England. For the hype this game received, I was disappointed by the outcome, but Ireland got the job done, and the Scots were left to rue their errors and miss out on winning their first two fixtures for the first time ever in the Six Nations. The mistake by Tommy Seymour and missed tackle count didn’t help in the slightest and instantly it throws me back to last years meeting between the sides where we had a similar sounding story following the contest. Both sides have suffered a devastating loss this campaign, but Ireland have Italy to deal with on the road next, and Scotland travel to Paris where they haven’t won in over two decades; I reckon it’s fair to say they’ll be grateful for the weekend off.